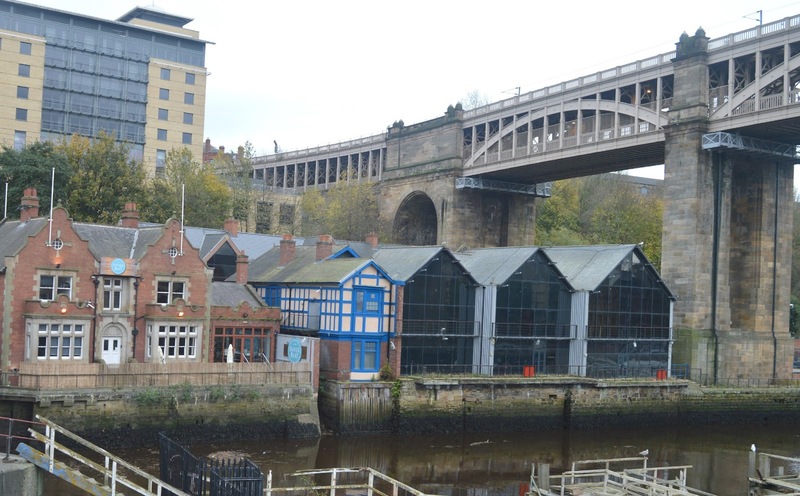 In the shadows of the High Level Bridge, overlooking the Tyne you'll find new bar and restaurant, River Beat. Bringing something a little different to Gateshead, River Beat offers a delicious variety of Thai tapas in beautiful surroundings with a great atmosphere. Simon and I are always eager to try out new places so after a particularly cold and soggy walk along the Quayside on Saturday we battled against the wind across the Swing Bridge in the search of a comforting lunch to warm us up. River Beat is the perfect lunch location and a great escape from the city centre crowds. We decided to order from the Daytime Special menu which offers fantastic value with any soup and Banh Mi for £9.50 served every day before 6:00 pm. 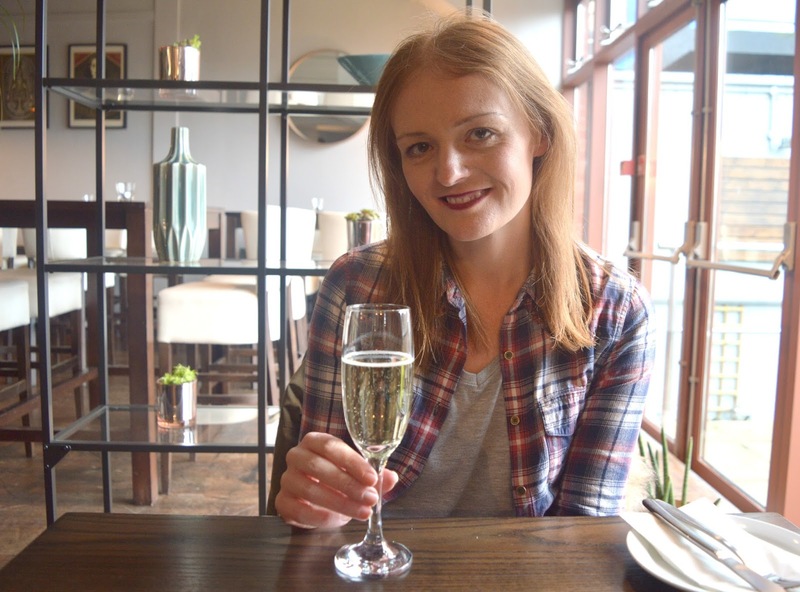 We all know how long Simon and I can take trying to decide what food to order so we took our time and enjoyed a cheeky glass of Prosecco each whilst trying to choose between three delicious sounding soups and five tempting Banh Mi. 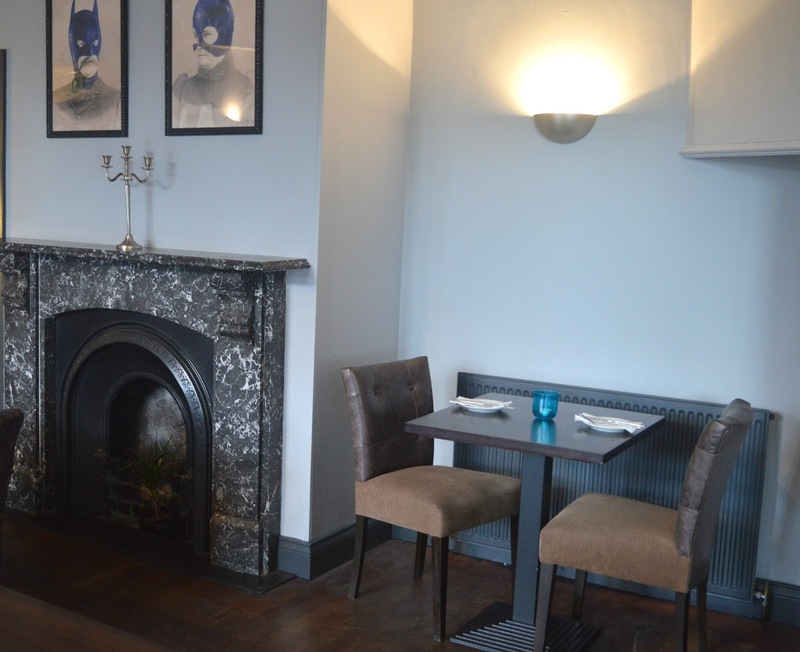 If you're going to spend a relaxing Saturday lunchtime perusing a menu, River Beat is certainly a great place to do it. The restaurant is beautiful with dark wood, plush chairs and a stunning marble fireplace that I really couldn't take my eyes off. Decisions finally reached I chose the Beetroot Borscht with horseradish foam and garlic croutons. My bowl of steaming hot soup soon appeared and I couldn't quite get over how huge the bowl was. I was impressed by the really generous serving and quickly got started. 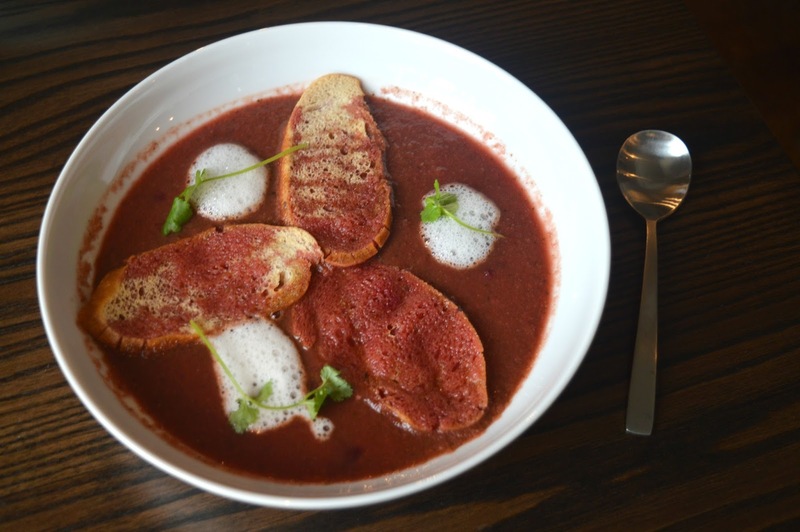 I enjoyed endless spoonfuls of the delicious thick soup and loved the big chunks of beetroot. If I thought my soup looked impressive I hadn't seen anything yet! 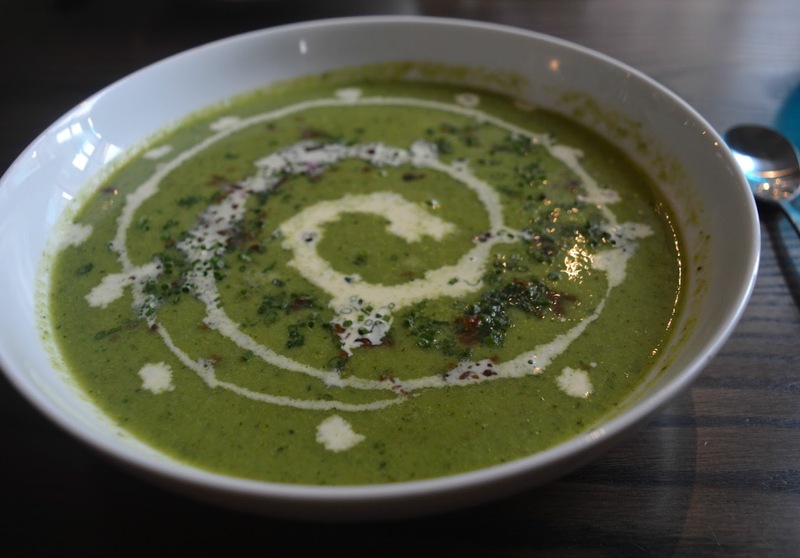 Simon opted for the Garden pea and mint soup with the optional extra of crispy bacon and we knew he had the winner when his bowl was put in front of him! Just take a look at this beauty! I love when food looks as good as it tastes and the presentation of dishes at River Beat is absolutely stunning. 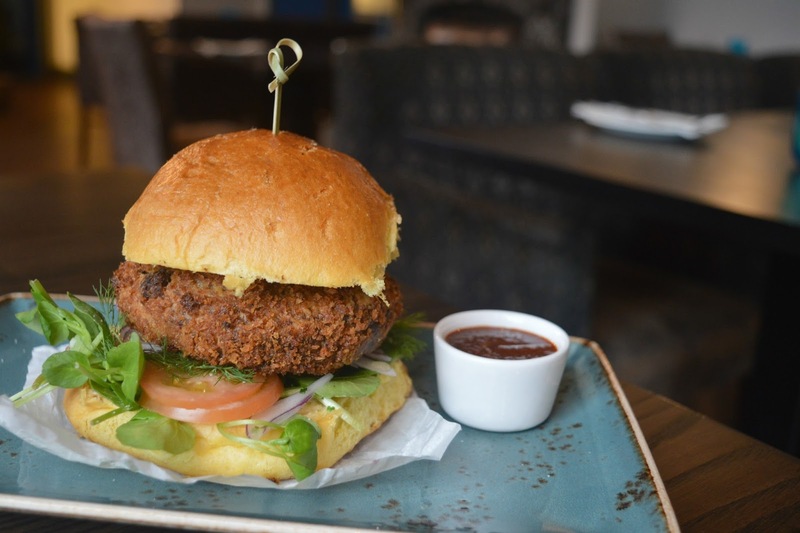 I quite often find myself leaning towards the vegetarian options when I'm out and about so for my Banh Mi choice I ordered the Sweet potato and black bean patty with BBQ whisky ketchup in a brioche bun. The patty was crispy on the outside with a delicious centre packed full of flavour. 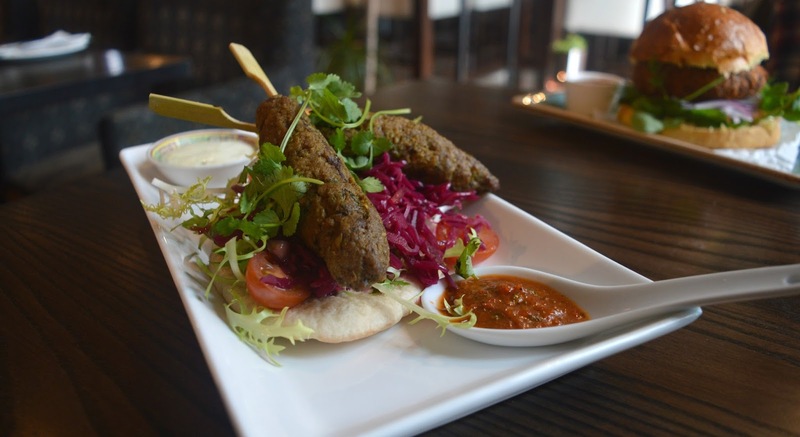 It was a great alternative to the overly stodgy burgers you usually find in restaurants. River Beat offer great recommendations if you're stuck ordering and they recommended the best Banh Mi to go with Simon's soup. He was very happy he listened to their advice as the Honey lamb koftas in a pitta bread with Yeman dip and garlic feta sauce was a fantastic choice. Let me know if you decide to go and visit River Beat! I walk past this place on my way to work every day. I'll have to pop in, I never visited any of the previous inhabitants of that building which is a shame considering how close it is to my house. Oh the soups both look delicious and are perfect for warming up after a brisk walk along the quayside. Great concept for a satisfying lunch. Will try visit there sometime!